The Indian mutual fund (MF) industry has shown an impressive growth, especially in the past two decades, not just in the scale of assets under management (AUM) but also in terms of number of folios. The industry size almost doubled in the past three years to Rs21.8 lakh crore in FY17-18 from Rs10.8 lakh crore in FY14-15 and quadrupled in the past 10 years from Rs5.1 lakh crore in FY07-08, says a note from CARE Ratings. According to the report, growth in equity AUM of about 290% in past five years is more than three times the growth established by debt AUM of around 88%. "Deployment of funds by debt MFs has undergone a major shift in the past five years, in terms of increased allocations to instruments such as corporate debt, commercial paper and reduced investments in certificates of deposit. Focusing on the NBFC sector, investments in its commercial papers reduced post August 2018, while funds deployed in corporate debt paper rose," it added. The AUMs of Indian MF industry grew at a notably higher compounded annual growth rate (CAGR) of 27% from FY13-14 to FY17-18 and during FY18-19, it grew to Rs22.85 lakh crore as of December 2018, registering 7% growth over March 2018. However, the report says, this growth rate of 7% is much lower compared with the growth rate of 21% registered in December 2017 over March 2017. As on December 2018, Indian MF industry had a total of 80.3 million folios, out of which about 76% were of equity- or growth-oriented schemes, around 14% of debt- or income-oriented schemes, 8% of balanced schemes and remaining 2% of exchange traded funds (ETFs) and fund of funds investing overseas. According to the ratings agency, FY18-19 (up to December 2018) has remained a positive year for equity schemes (net inflow of Rs0.9 lakh crore), ETF schemes (net inflow of Rs0.26 lakh crore) and balanced schemes (net inflow of Rs0.12 lakh crore). "However, debt schemes witnessed net outflows worth Rs0.42 lakh crore during the year. 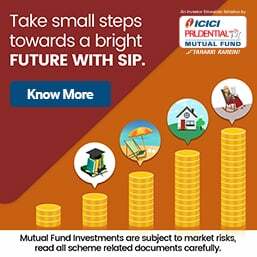 This can be attributed to outflow of Rs2.11 lakh crore from liquid or money market schemes, which invest in short term assets such as treasury bills, certificates of deposit and commercial paper, etc. This was mainly due to a rising interest rate scenario in FY2019 which made bank fixed deposits (FDs) more attractive than debt MFs, as they offer better returns at lower risk. Also on account of the non-banking finance companies (NBFC) liquidity issue, mutual funds moved away from such investment in debt instruments to an extent," it added. I did notice a video posted on youtube that the promoters of Sterlite technologies have pledged a high percentage of their shares in business that is non-Sterlite. Analysts are also citing the root cause of the big drop in share prices of Sterlite. In a clear case of conflict of interest and example of poor governance, DHFL Pramerica Ultra Short-Term seems to have the highest investment exposure to the controversial Dewan Housing Finance Corporation (DHFL), a non-banking finance company (NBFC) engaged in providing home loans and mortgages. DHFL Pramerica was the joint venture of DHFL and Pramerica Asset Managers, when these investments were made. Pramerica bought over DHFL’s stake in December. If the DHFL group is found to be in dire financial straits then MFs entire exposure to such debt would be at risk as well. Financial market players are estimating that a huge potential loss after the fiasco of Infrastructure Leasing & Financial Services might be from DHFL. The company lost more than 73% of its share price in the past four months, ever since uncertainties emerged in the NBFC space that froze credit-lending operations of the company. Also, Cobrapost, an investigative media alleged DHFL’s promoters of funnelling Rs31,000 crore of bank loans into their own shell companies, mostly without any security and often in one shot. The growth of financial companies has been supported by mutual funds. They held around Rs8,651 crore worth of debt of DHFL’s and four of its subsidiary and associate companies, as per portfolio data of 31 December 2018, with DHFL Pramerica leading the list by far. DHFL is trying to manage its Rs100,000 loans and assets through short-term measures like selling off its loan book assets, non-core businesses and securitisation. But these efforts are nothing compared to the crisis of confidence that has gripped DHFL lenders. Today there is even talk of a government probe into the firm DHFL stocks end 16% lower; company denies MCA probe. The role of rating agencies and fund companies in keeping afloat shaky financial firms IL&FS and DHFL lead to some investigation by the market regulator, Securities and Exchange Board of India. Debt schemes of mutual funds lend directly to the borrower (s), but with the help of a fund manager that executes the transaction and diversifies some of the risks involved. If a borrower defaults, the loss is entirely borne by the unit holders. While this is part of the normal business risk, mutual funds have been over adventurous in funding the personal finance companies of the promoters too without any collateral Mutual Funds Have Also Lent to DHFL Promoters' Holding Company Just Like Yes Bank’s Rana Kapoor. We have climbed the ladder in ease of doing business, as there is so much profit on the sly, now the whole world wants to do business in our country so that they can take the money and flee easily. DHFL has been issuing FDs for quite sometime. Are they honouring the interest and maturity? Yes, no defaults of any kind so far. 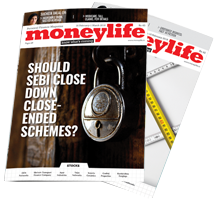 Moneylife to pl take up the matter with crisil for AAA rating.